Chole/Chickpea gravy is usually associated with North Indian cuisine. 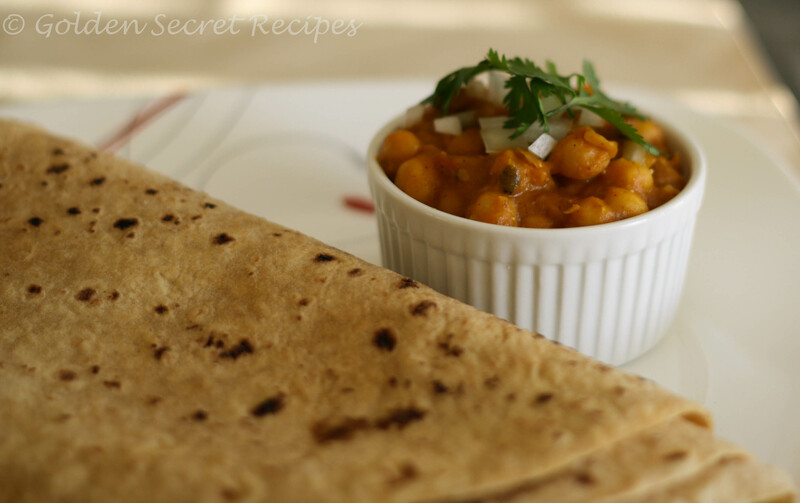 Usually, Punjabi chole goes very well with Garlic naan or Bhature(different types of breads made of all purpose flour). The last place where you would expect to find one of the best chole would be a south Indian restaurant 😉 But to my surprise, I found the chole in Saravana Bhavan very distinct and one of the best I have had. I attempted to make something similar to what I had in the restaurant. I wouldn’t say that it was 100% successful in terms of the texture, color etc, but the taste came out somewhat close to it. I missed having it with bhatura though!!! 1. Wash and soak the chickpeas in enough water overnight or for about 8 hours. 2. In a pressure cooker, give couple of whistles and cook the soaked chickpeas and keep aside. 3. Make puree of the tomatoes and keep aside. Also, boil potatoes and mash them and keep aside for using later. 4. In a sauce pan, heat oil and put cloves, cinnamon sticks, bay leaf and green cardamom. When it splutters, put chopped onion, ginger garlic paste, chopped green chillies and curry leaves.. I usually add salt also at this point. 5. Once the onions turn pink, add turmeric powder, red chilli powder and coriander powder. Once the oil starts to separate, add tomato puree. Saute till the tomato cooks well. 6. Once the tomato cooks well, add the mashed potato to the pan. Mix well. You could add some water to bring to a gravy consistency. 7. Add the cooked chickpeas to the gravy. Cook in low flame and let it boil. Goes well with naans, bhature or chappati/rotis. 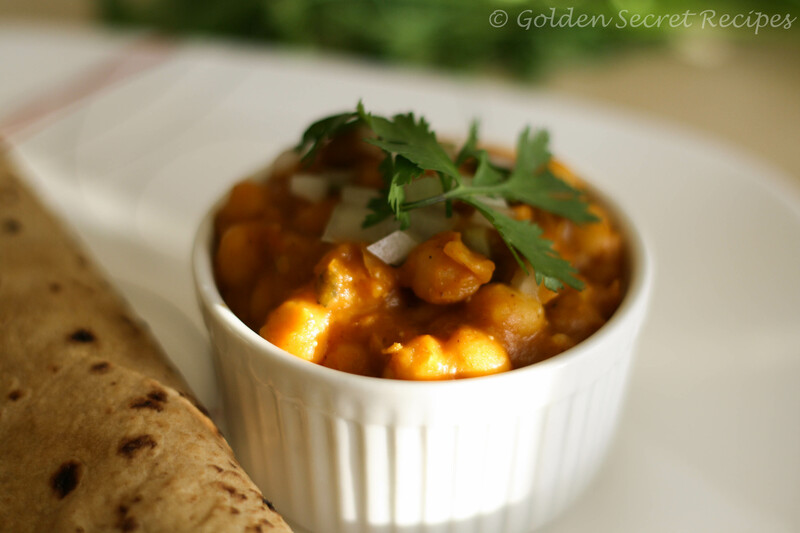 This entry was posted in Gravy 'N' Semi Gravy varieties, Specialities-Veggie and tagged chick pea curry, chick pea recipes, chole bhatura recipe, chole bhature recipe, chole recipe, choley recipe, curry using chick pea, easy chole recipe, north indian chole recipe, saravana bhavan style chole, saravana bhawan style chole. Bookmark the permalink.